Join us for this Tuesday Movie Matinee, featuring How to Marry a Millionaire (1953), starring Marilyn Monroe, Betty Grable and Lauren Bacall. 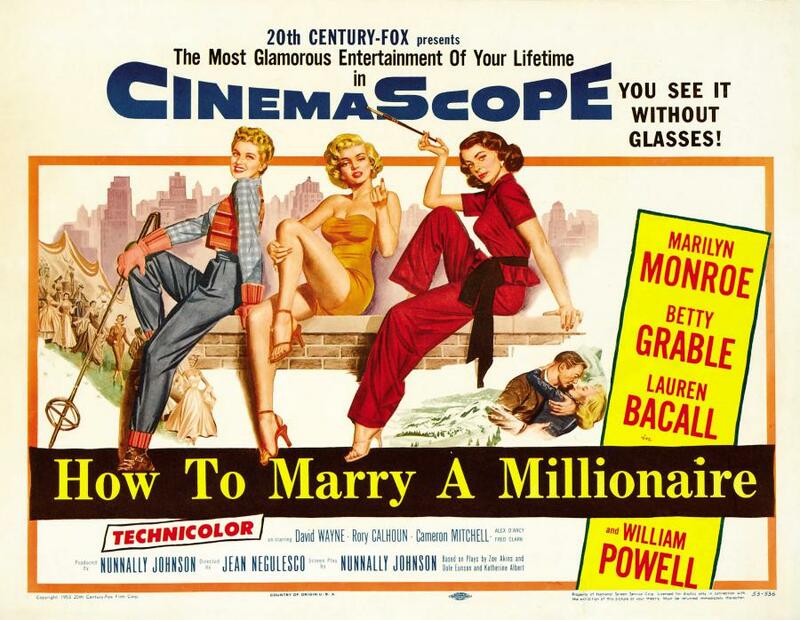 In this comedy, Lauren Bacall, Betty Grable, and Marilyn Monroe play three models of modest means who rent an expensive Manhattan penthouse apartment and pose as women of wealth. It's all part of a scheme hatched by Bacall to snare rich husbands for herself and her roommates. Comedy, Drama, Romance, War. Not Rated, 105 minutes.